You are here: Home / Uncategorized / I Have Feet! She is adorable Coreen! 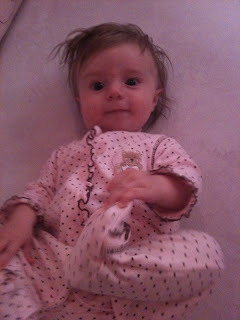 And I love her polka dot little outfit! Those new discoveries are priceless to witness. Cute jammies. I love when they discover their feet. She is adorable and has such pretty eyes.